The three best-known process improvement methods are (1) TPM to increase the stability of the machinery, (2) Lean to increase the value stream towards the customer, and (3) Six Sigma to reduce process variation. Companies that have been applying process improvement for a long time, often say that they have reached a ‘world class’ level, and speak of World Class Manufacturing (WCM). This means that TPM, Lean and Six Sigma are applied simultaneously, with one of these methods as foundation, and the others added later. Unilever was a good example of a company with this approach, with WCM based on TPM. However, the add-on approach is a bit unsatisfactory. It is like dealing with shortcomings in your 'house of process improvement', by adding outbuildings. Therefore, Unilever changed their approach in 2012. Within car manufacturer Fiat they discovered a new and balanced WCM-program, developed by professor emeritus Hajime Yamashima. TPM is the base of this program, as it was for WCM old style within Unilever. However, Yamashima didn't add 'outbuildings' for the other two improvement methods, but he integrated Lean and Six Sigma from the start in the TPM management pillars. The result: a completely new improvement house, which gives more focus, better opportunities for cross-departmental improvement, and which pays more attention to the role of the people and to the structure of the organization! Total Productive Maintenance (TPM), the improvement method which Unilever started to apply 20 years ago, focuses on increasing the productivity. By measuring the Overall Equipment Effectiveness (OEE), machine-stoppages, and other losses like sub-standard quality, are detected and addressed. TPM is often applied when the machinery is costly, which makes it important to bring it into action efficiently. 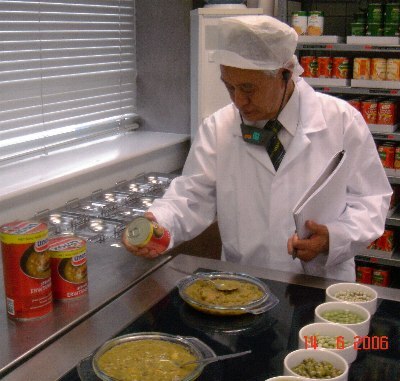 Especially in the food industry, TPM became very popular. 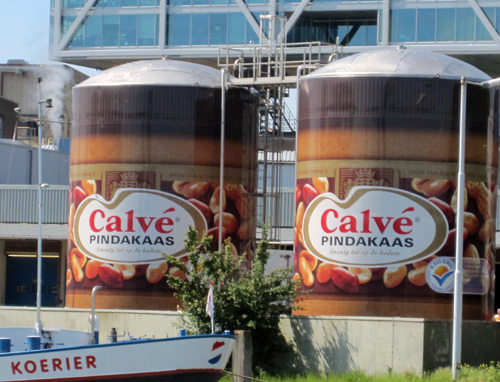 Thomas van de Kracht leads the world class manufacturing program in the Unilever margarine factory in Rotterdam, The Netherlands. This line of reasoning is not new. It is well-known that applying TPM results in a well-oiled and trouble-free running factory, but this method also has some shortcomings, which particularly become apparent in the long-term. One of the most important risks is local optimization. The machines run like a charm, but stocks pile up between them, because the processes are not geared to one another. Therefore is it logical that the next step would be to apply Lean techniques, to improve the logistics by making the processes flow. Next, Six Sigma can be added to strive for a constant and thus always perfect quality. Perhaps you noticed that Quick Response Manufacturing (QRM) and the Theory of Constraints (TOC) are not mentioned. Within the context of this article, those methods are seen as supplements or alternatives for Lean. So, WCM aims to improve simultaneously the productivity (with TPM), the logistics (with Lean, QRM and/or TOC), and the quality (with Six Sigma). Companies claiming they apply WCM - examples can be found via the main menu ‘WorldClass’ on this site - usually started with TPM, ór Lean, ór Six Sigma. Then, after some time, tools of the other two improvement methods were added. Until recently WCM within Unilever met this description, with in their case TPM as foundation. In the box below, the history and development of TPM and WCM at Unilever during the last 20 years is sketched. Unilever started already 1996, so almost 20 years ago (! ), with the application of Total Productive Maintenance (TPM). Productivity gains of 20 to 30% were no exception during the first ten years. An important mile stone was 2005. That year, two factories received from the Japan Institute of Plant Maintenance (JIPM) an award for world class achievement. This is the highest level you can attain, regarding TPM. From that moment on, there is some struggle with the strict JIPM-rules. 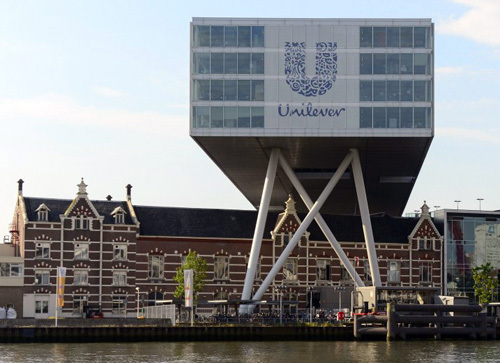 A large company like Unilever clearly benefits from the structure and control through TPM. However, increasingly the question is raised whether TPM, and the related awards, have not become a goal in itself, instead of only a means to improve. Moreover, the need arises to broaden the program, with as most important aim to prevent local optimization, and to make it possible to improve cross-departmental on a supply-chain level. Already in 2007 the term World Class Manufacturing (WCM) is coined within Unilever1, to indicate that striving for flow (Lean) and the application of Statistical Process Control (Six Sigma) become part of the TPM program. To this end, additional TPM management pillars were added, like customer excellence. Besides this, OEE-measurements for production lines as a whole, and even for complete factories, were introduced. Starting in 2012, Unilever also pioneered with improvement projects coming under more than one TPM pillar, with the aim to make improvement projects crossing departments possible. Shortly after this, it was decided to implement Yamashima’s WCM-program, as described in the main article. This new approach (1) improves the focus, (2) integrates TPM, Lean and Six Sigma within one program, and (3) increases the attention for human and organizational factors. During Unilever's long journey from TPM to WCM old style, and finally to WCM new style, one thing remained unchanged: the main goal is to systematically identify and eliminate losses, and to make every employee an increasingly better problem solver. 1) Note that the term World Class Manufacturing was not invented by Unilever. WCM has been in use since the 1980s to describe mixed approaches to continuous improvement. Starting with TPM, Lean or Six Sigma, and adding the other two methods later, has the advantage that it is clear what is going to happen. Therefore, this probably remains the best approach within companies that start with process improvement. Nevertheless this add-on approach is somewhat artificial. It is like filling gaps in your original ‘house of improvement’, by adding outbuildings. When TPM is your foundation, this happens almost literally. This is because TPM has areas of special attention, management pillars, like autonomous maintenance and quality. Lean is then for example added by introducing an extra flow-pillar. A similar option is a pillar for customer excellence, this was one of the supplemental pillars Unilever used.. If the foundation of your 'house of improvement' is TPM, an alternative approach has recently become available. In that case no extra pillars are added, but the foundation itself is rebuild. As far as I am concerned, you could call this approach TPM 2.0. In 2005 Hajime Yamashima, professor emeritus at the university of Kyoto and after that consultant, started to develop this WCM new style. For the first time this is WCM formulated as a program, which you can implement step by step. Launching customer and co-developer was Fiat. They saw this WCM new style primarily as a means to preserve employment in Italy. This explains the emphasis on cost savings, see below. TPM had zero breakdowns as goal, and Yamashima added zero stock (from Lean and just-in-time production) and zero defects (from Six Sigma). This is called the zero optimum concept. At the same time, production costs as low as possible are pursued. To this end, the problem-solving skills of all the employees must be developed and utilized (Lean). Besides this, the approach is data-driven (Six Sigma), with a lot of attention paid to standard procedures and continuously improving those (TPM). WCM new style, as developed by Yamashima, defines so-called ‘technical pillars’. The name of these pillars is roughly the same as the management pillars within TPM. Another similarity is that each pillar is managed by one person. However, the content of the pillars is different. Lean and Six Sigma are already ingrained in them, so there is no need for extra pillars later. Like in TPM, the pillars are implemented step by step. ‘There are seven steps for each pillar’, Van de Kracht explains. ‘Gradually these give a shift from a reactive to a preventive attitude, and finally to a proactive attitude of the employees. Besides this, the order TPM, then Lean and finally Six Sigma returns. Note however that this now relates to building up a pillar, not to the addition of separate pillars as with WCM old style. The first two building steps create order, by defining and controlling basic (production) conditions. Next, the focus shifts to the optimization of value streams. Finally, in step 6 and 7, perfection is pursued. Not only the content of the pillars is different, there are also more of them. These extra pillars do not serve to add Lean and Six Sigma to the program, but they do emphasize special aspects. New is for example a pillar for logistics and customer service, to emphasize that the customer comes first (as within Lean). There is also a pillar for environment and energy, to put sustainability on the agenda. And there is a separate pillar for talent development, to indicate how important the development of problem-solving skills is (Lean). Finally, there is a coordinating, strategic pillar, which resembles Hoshin Kanri (compass for improvement) within Lean. This pillar is called cost deployment, see below. Yamashima’s program seems just right for Unilever, since it gives them the opportunity to grow further with WCM, while preserving all the good things of their solid TMP base. During Unilever’s long history of applying TPM, on one hand there is a need for a structured and detailed improvement, while on the other hand local optimization has to be prevented, which requires broadening of the program. WCM new style not only solves this conflict, it also adds a strategic element. From now on, improvement actions are not done just like that. Improvement projects that potentially save the most euro’s get priority. Yamashima seems to have adopted this from Six Sigma. That method also estimates beforehand how much money can be saved when a particular improvement project is executed. The project planning cycle of WCM new style is complex, and is managed within the overarching cost deployment pillar. Filling no less than six matrices, A until F, leads to the selection of the most promising improvement projects. The mission of this website: Inspire to create flow in business processes! Only causal losses are transferred to matrix C. In this matrix it is calculated what those losses cost. This is the most daring step of cost deployment, which can be literally translated as ‘forming a battle array on the basis of costs’. In matrix D knowledge becomes the central point. For each potential improvement project it is determined what boundary conditions should be fulfilled to carry it out. Think of people, tools and training. Next, the necessary investments are weighed against the benefits. Then, finally, the most promising improvement projects are selected on the bases of their so-called ICE-number, which represents the importance, cost and easiness. The selected projects are transferred to Matrix F, which is used as a cockpit, to track the progress. To complete this story about filling the matrices: Besides these six matrices, there is yet another matrix G. This seventh matrix contains the expected and the realized savings, and is used for budgeting in the next year. Determining the priority of the improvement projects with the Cost Deployment process, already led to remarkable insights. For an example, see the box below! In the main article it is described how Unilever determines which losses should be addressed first. This method is called cost deployment. Literally this means forming a battle array of improvement projects, based on the expected profits. Doing this is however a very complex process, so it is an appropriate question whether it is worth the effort. Has it already led to the selection of improvement projects, that otherwise would have been overlooked? Like it is usual within TPM, big improvement projects are assigned to one of the management pillars. However, this is only done in half of the cases, we will return to this later. Each pillar manager not only guides the improvement projects allotted to him or her, but is also busy with developing the pillar itself, which is done via the seven steps mentioned earlier. Interestingly, also these pillar development steps lead to (usually small) kaizens, initiatives to improve the improvement process itself! 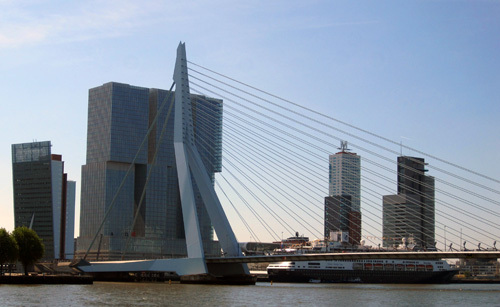 Who makes an upstream boat trip along the river 'Nieuwe Maas', starting at the Erasmus bridge (The 'Swan') in Rotterdam, will soon pass Unilever. A typical example of a focused improvement project is given in a box below this article. Unilever cooperated for a long time with the Japan Institute of Plant Maintenance (JIPM). This institution is leading when it comes to the definition of TPM. 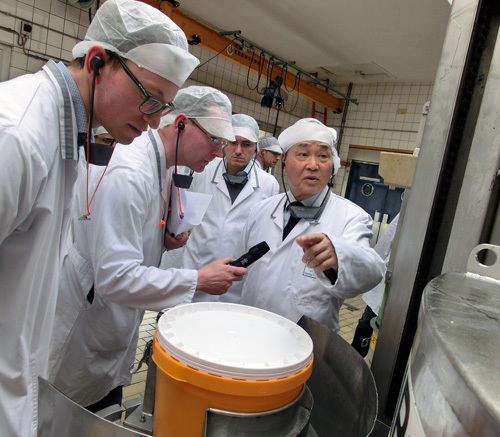 At the time, JIPM-consultants visited Unilever's factories on a regular basis, and JIPM-awards were granted when a certain TPM-level was achieved. The organizational pillars are not managed by a person. The name of these pillars refers to organizational aspects, which management as a whole must oversee. Examples are management engagement, clear goals, having a route map to develop WCM, availability of highly-qualified personnel for improvement projects, engagement of the organization, and motivation of the operators. Unilever is in search of other companies that want to think along about the further development of WCM new style, and with the aim to exchange best practices. When you are interested, you can contact Thomas van de Kracht via email. Cross-departmental improvement projects within WCM new style come under the Focused Improvement pillar. 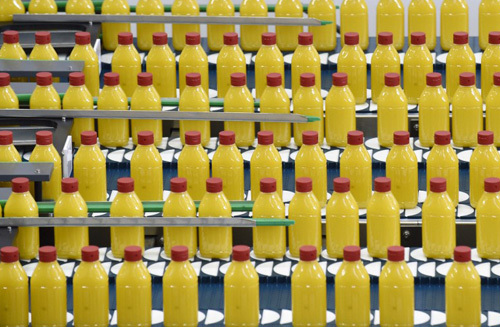 Thomas van de Kracht gives an example: the reduction of losses caused by incorrectly placed plastic casings (crimp sleeves) around product packings. In this case, Processing Point Analysis (PPA) was applied to find the root causes of the incorrect placing of the sleeves. To this end, you start with a description of the problem and the process point, the place where the sleeves are added to the products. It is determined which interactions between which machine-components critically influence the result. Next, it is described which sub-systems affect the operation of the process point, and which process parameters are influencing this. Finally it is investigated if the most critical machine parts are in their correct state. If not: ask five times why! Do you need help with the implementation of WorldClass Operations?